Debe realizar reservaciones con al menos 5 minutos de adelanto en Peter's Restaurante. Very reasonable priced so one easily can go again to try some other dishes.. Consistently excellent cuisine since we've been going there for 5 or 6 years. 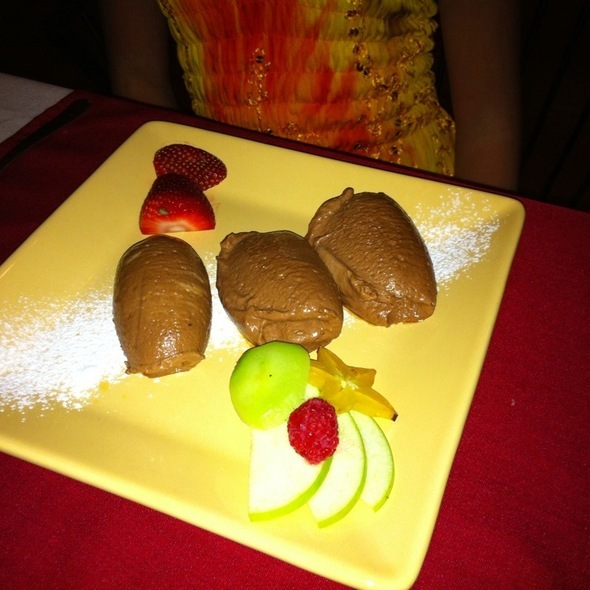 Peter's Chocolate mousse is a must! Es un lugar con mucho potencial solo elevar un punto más el servicio. El resto como siempre fabuloso. Wonderful from start to finish!! Great meal and service always. Peter’s is our favourite in all of Cancun - never disappoints. You haven’t lived till you’ve tried habenero honey! The best meal we have had in Cancun. This was our second year, vacationing for a month. I wish we had fond this restaurant sooner. The wine list is substantial and the Passion Fruit margarita was delicious. Next came a fresh delicious salad that was big enough to share. We had the mushroom ravioli that melted in your mouth....Fantastic! 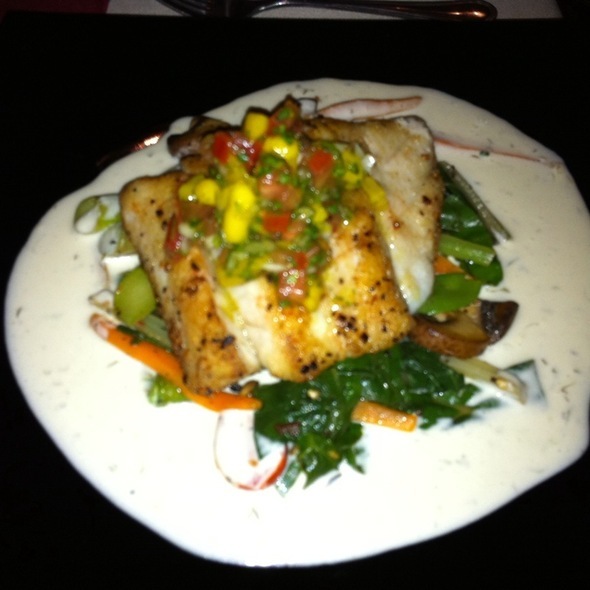 My husband had the hogfish, which was done to perfection. Served on a bed of polenta, surrounded by perfectly cooked vegetables, the fish was delicious. I had the pork chop that was so delicious and large, it will be enjoyed for my lunch tomorrow. The desert was a hard choice, but my husband is partial to Key-lime pie, and we were not disappointed. The added bonus was a tequila infused sorbet that was to die for. Chef Peter came to our table and introduced himself, asking if we had any questions. He personally took our order that made the experience personal and more intimate. The food rivaled any meal we have enjoy in NY or PHILADELPHIA. Do not miss this jem. You’ll be glad you made the time to enjoy one of the best meals Cancun has to offer. What a fantastic meal, lovely owners, and great service. Menu items are unique, creative, and a delight to your taste buds. Peters is top notch. Don’t miss an opportunity to dine there! Love this restaurant. We come to Cancun often, and enjoy the fine restaurants here. We have a gluten-free member of the family, and she discovered this restaurant last December. The staff was very understanding of her strict dietary needs, and was easily able to prepare an outstanding dinner for her. My husband and I returned again in March, and very much enjoyed the creativity and tastiness of our dinner, as well as the very warm and friendly waitstaff. We highly recommend this restaurant! 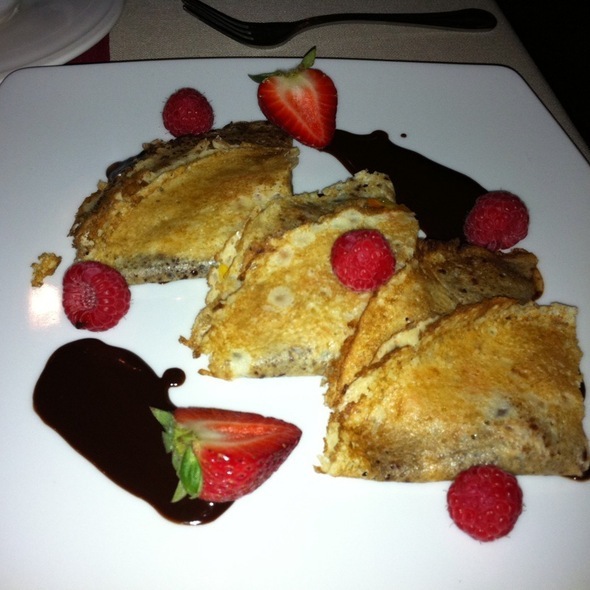 Peter's is a real treat for foodies and you can never go wrong here. 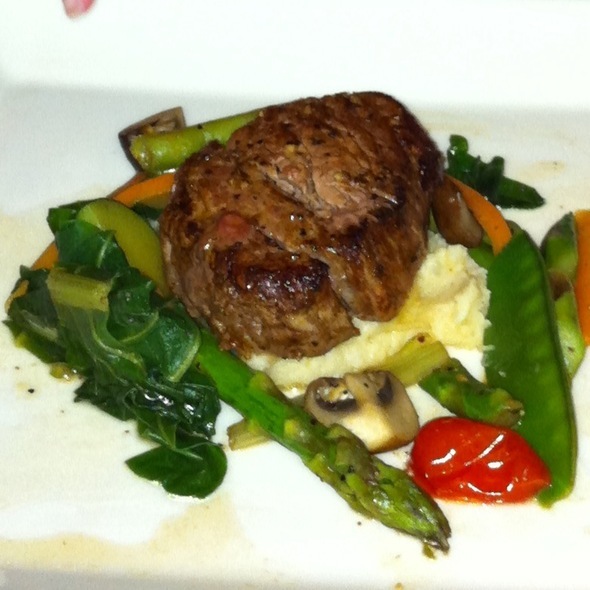 Peter's provides exceptional food and service - the 2 things that really matter in a restaurant experience. I learned a while ago to book my reservations in advance so that when I get to Cancun I can enjoy the "magic" that happens at this restaurant. This time it was succulent lamb tenderloin and sublime chocolate mousse. They also have a very good wine list with excellent Mexican wines. Thank you to Peter, Claudia, & Eddy for always making dining with you such a memorable experience! We had a wonderful experience at Peter’s! The smoked salmon the service was accommodating; & the chef was very pleasant while visiting his customers. We’ll definitely come back! Excellent restaurant. Will eat there again. Restaurant is small so make reservations at least 2 weeks ahead or more. Always a phenomenal meal and service. 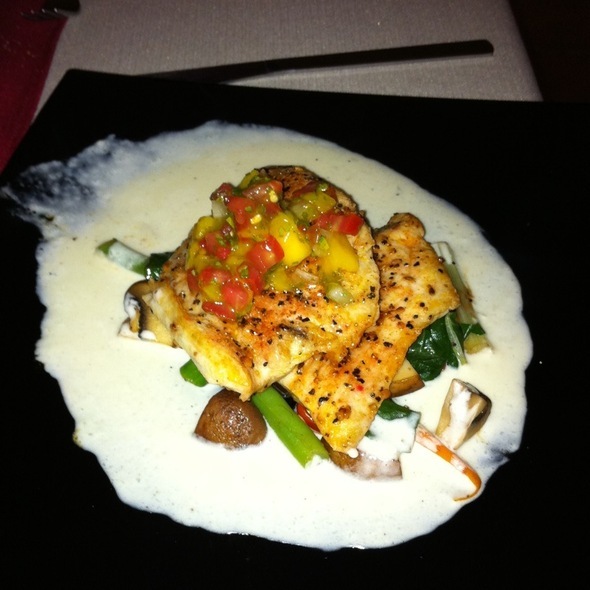 The special fish from the Sea of Cortez was remarkable and Peters secret sauce was addictive. Party of 6 enjoyed brisket, ribs, lamb and hogfish. I love the Carajillo!!! Remains our favourite restaurant in all of Cancun. We will see you soon. Peter’s is the best restaurant in Cancun. The food is always fresh and flavorful. Our favorites are the lemon grass soup, mushroom ravioli, hog fish, chicken breast stuffed with shrimp, and the ribs. We love everything we have ever tried there. Peter always comes around to each table to make sure everyone is happy with their meals. Of course we always are. The food at Peter’s is absolutely delicious. The service is excellent. We always look forward to visiting at least twice during our annual trip to Cancun. One of the best restaurants I’ve ever been to. Hands down!! This is about our 5th or 6th visit to Peters and we keep trying a lot of our favourites along with new dishes. Everyone has simply lived their meals. Cocktails are lovely, service exemplary and food hot and served with a pleasant and tasty experience. We’ll be back again and again- still our numero uno choice in Cancún. Love Peter’s. We return every year. My wife love the special boquinette but I was less impressed with the brisket (quite a challenge in Mexico). The place was small and pleasant, a bit overlit but OK. The service was quite good and pleasant. The place was hard to find as we were walking there. We saw no signage anywhere but recognized Peter when we saw him through the window. We do plan to return next year. As always a delight, in this overhyped resort town. Excellent ingredients prepared from scratch and cooked to perfection. Peter and his wife make everyone feel like special guests. Always our favourite restaurant in Cancun. Peter’s cuisine is delicious in taste and presentation. It’s always a struggle on which dish to have as they are all equally superb. Again, the tequila sunrise dessert will change your life! We’ll be back many more times this winter. By far our most Favorite restaurant in Cancun!! Food is flavorful. Peter personally greets each table before and after meal. Nicely prepared meals with excellent flavours. Good assortment to pick from for a small restaurant. Better to reserve as limited seating and only open from 6 to 10 in the evening. Food is excellent. 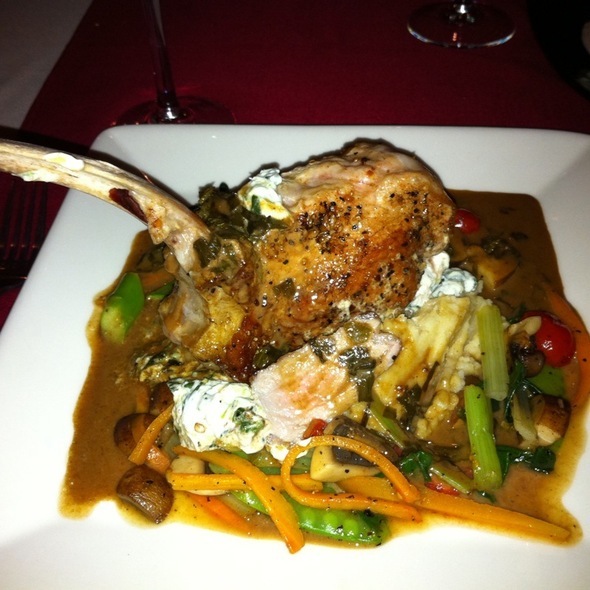 We love the salads, mushroom ravioli, hogfish, pork tenderloin and tamarind glazed ribs. Peter is a master chef and very friendly. His wife and son are equally as friendly and help make your dining experience wonderful. We make it a point to eat here every time we are in Cancun and are never disappointed. Highly recommend! Excellent meal. Met Peter as well Great meal and evening. The food was delicious and service was wonderful. The restaurant itself can use a little updating. Peter, his wife and son are great hosts. The food is delicious and good portions. We love them and go every time we are in Cancun. Thanks for wonderful evenings. Wonderful restaurant, wonderful family running it. Food is always outstanding. 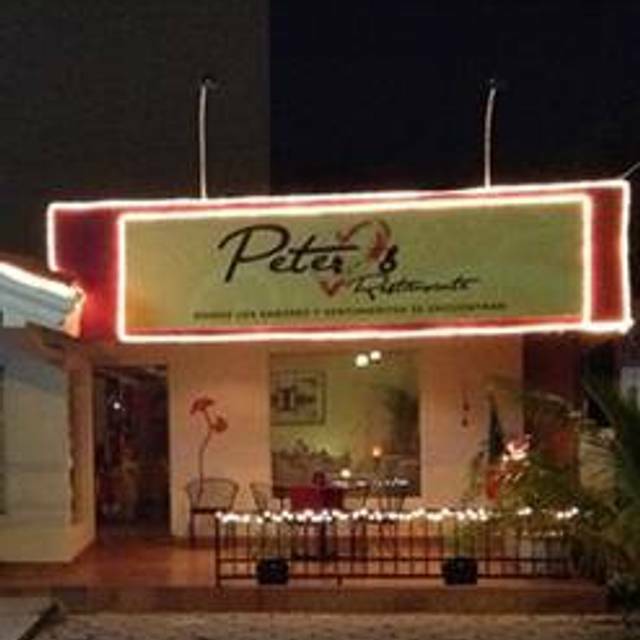 We go to Peter’s 2-3 times during our stay in Cancun. Love it! Overused cliche, but, none better in Cancún. Exclent menu, ask for dessert not on the menu. Es un lugar pequeño pero bastante agradable, la comida es excelente, no soy experto, pero me parece que es estilo francés en gran medida. Ve con pareja de noche y reserva con tiempo. Peter nos saludó en la mesa y fue muy amable con nosotros. El lugar no es muy bonito, su decoración es cargada y desactualizaba. Comida deliciosa, atencion personalizada. El postre fue sorprendente. Every year when we come to Cancun, we make it a point to eat at Peter's and are always so impressed. Low key atmosphere and top shelf dining. It is a family operated restaurant and they treat you like a member of the the family. It is a very welcoming and relaxed environment. Make a reservation so you don't miss out, because it it relatively small. 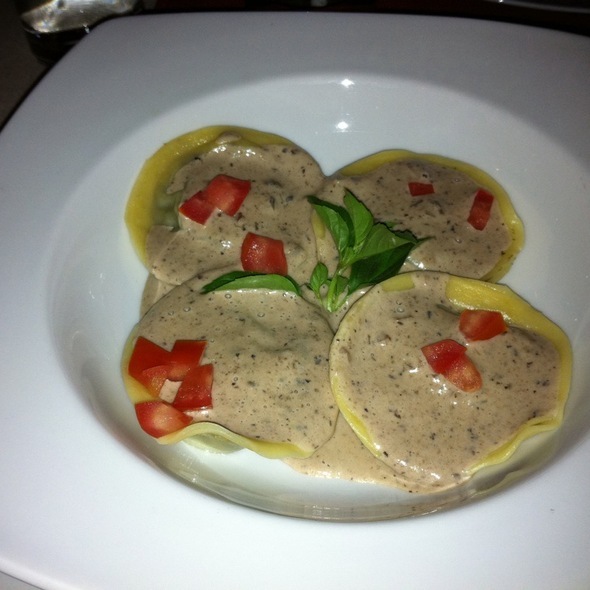 For starters we had the spectacular mushroom raviolis with truffle cream sauce...light and delicate home-made pasta and the sauce is to die for! My wife loved the "melt-off the bones" ribs and I loved the filet steak with a slab of fois gras and the peppercorn sauce. Just delightful! For dessert, we shared the key lime pie...so good. 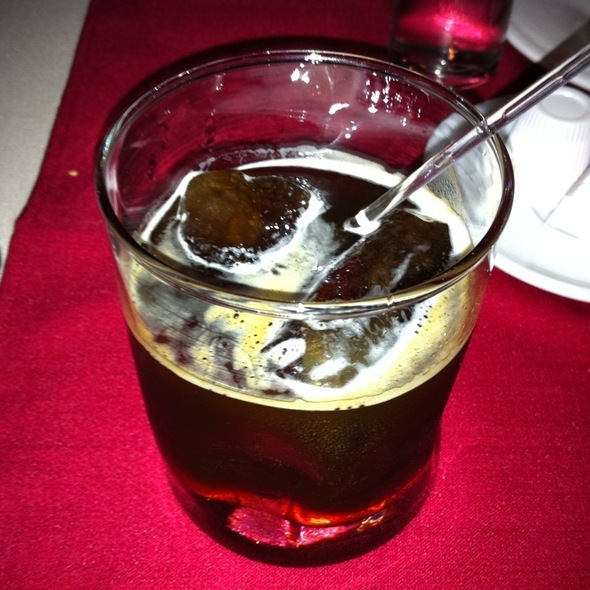 Peter also makes his own cordials...I had the vanilla digestivo with espresso. Throughout the meal, Peter personally comes out of the kitchen to check that everything is ok. It is not a pretentious act, just the real deal. Perfect meal in a great restaurant. Do yourself a favor and visit Peter's. You will love it! Thanks Peter. I will be back again next week to enjoy it once more before my vacation ends. Lovely place.. food was excellent. Had chicken stuffed w shrimp. Highly recommend! El ambiente la comida y el servicio muy buenos, solo que indicamos que era cumpleaños de mi acompañante y no lo notaron.